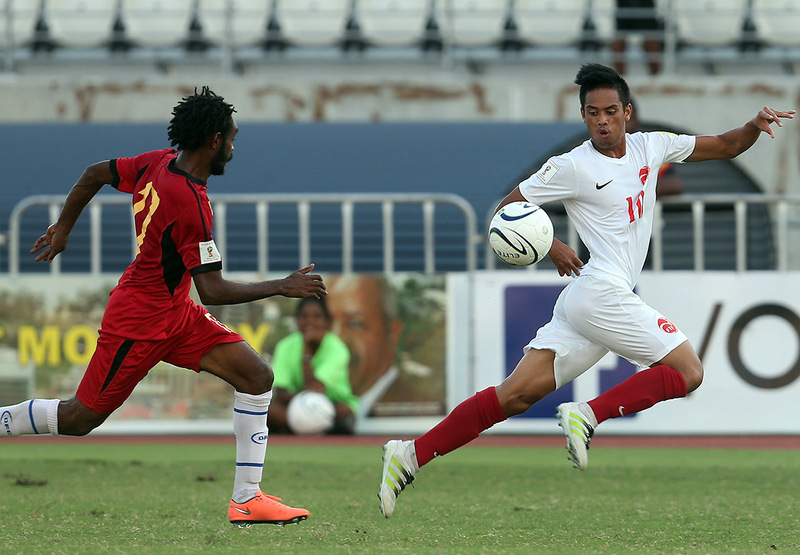 A hard-working Papua New Guinea have fallen 3-1 to Tahiti in their first of two matches in the 2018 FIFA World Cup Qualifiers – OFC Stage 3 encounter at Sir John Guise Stadium this evening. You can watch the full match replay brought to you by EMTV and OFC TV. Substitutes: 1. Kusuga KOMOLONG (RGK), 2. Abel REDENUT, 3. Richard ALOIS, 12. Samuel KINI, 16. Giwi SIMON, 22. Donovan MURRAY, 23. Ila DAVID (RGK). Tahiti: 1. Mikaël ROCHE (GK), 3. Taumihau TIATIA, 4. Matatia PAAMA,6. Tunoa TEVAEARAI, 9. Manarii PORLIER, 10. Teaonui TEHAU, 11. Sylvain GRAGLIA, 12. Mauarii TEHINA, 15. Heimano BOUREBARE, 17. Tamatoa TETAUIRA, 20. Alvin TEHAU (c).